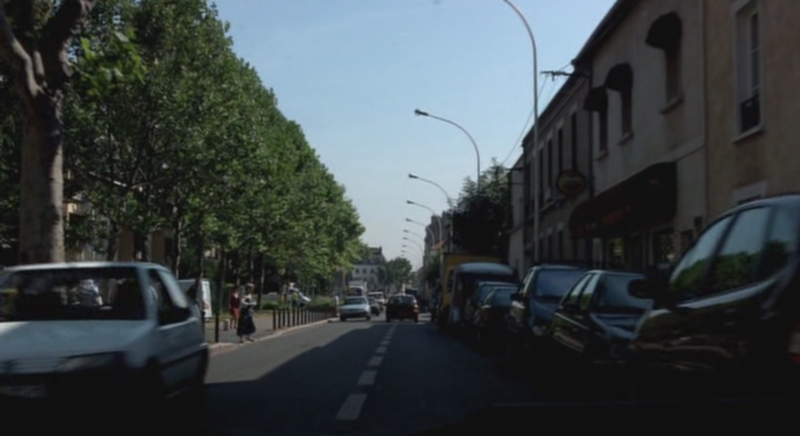 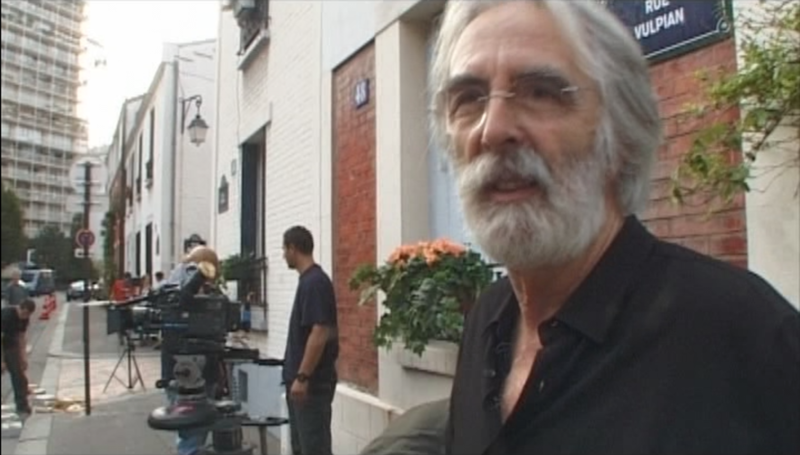 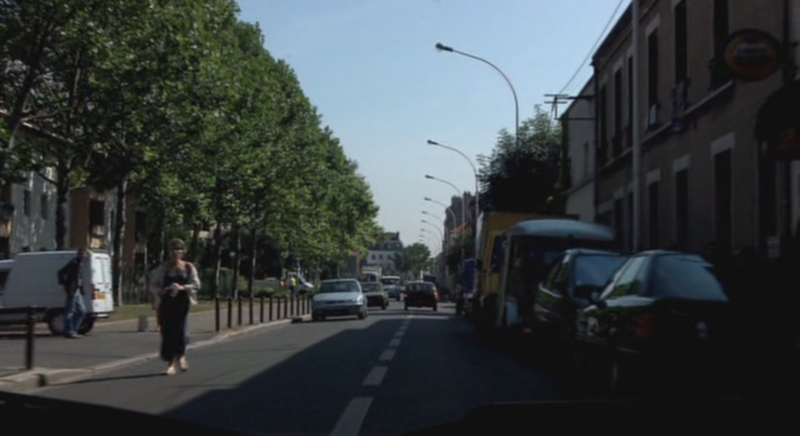 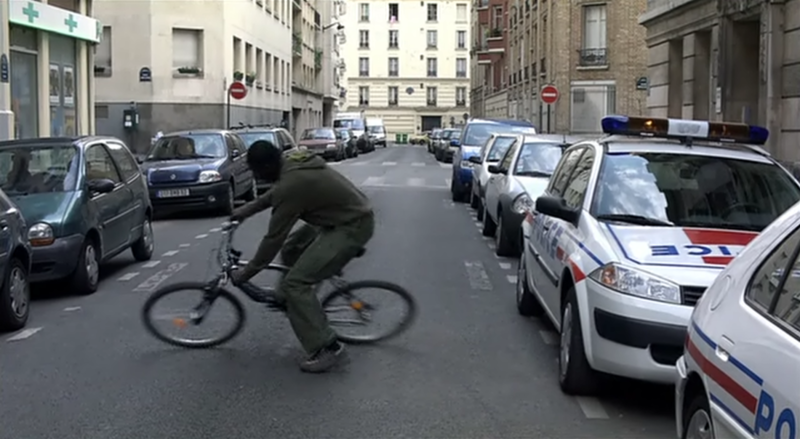 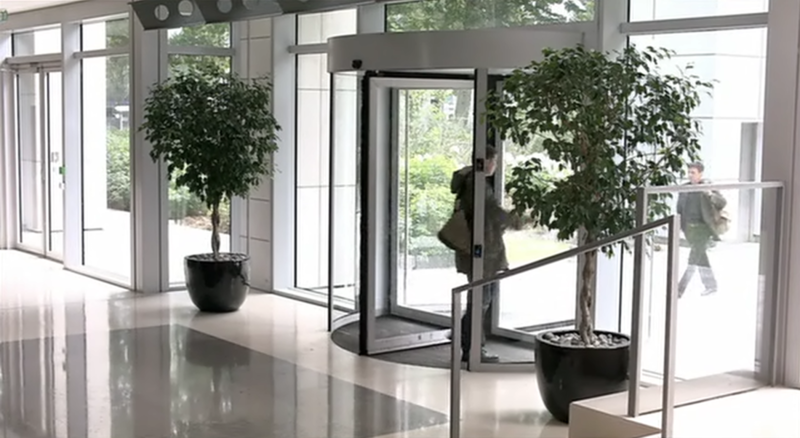 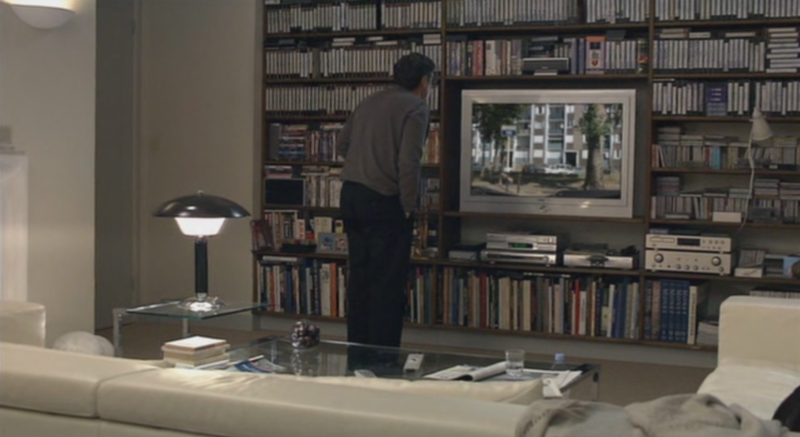 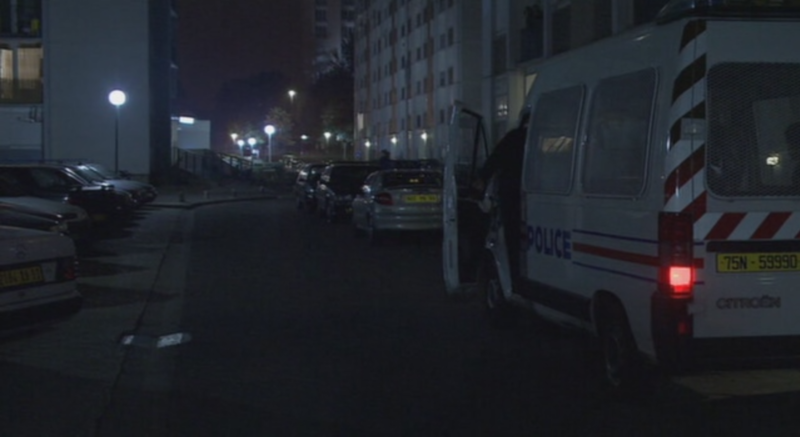 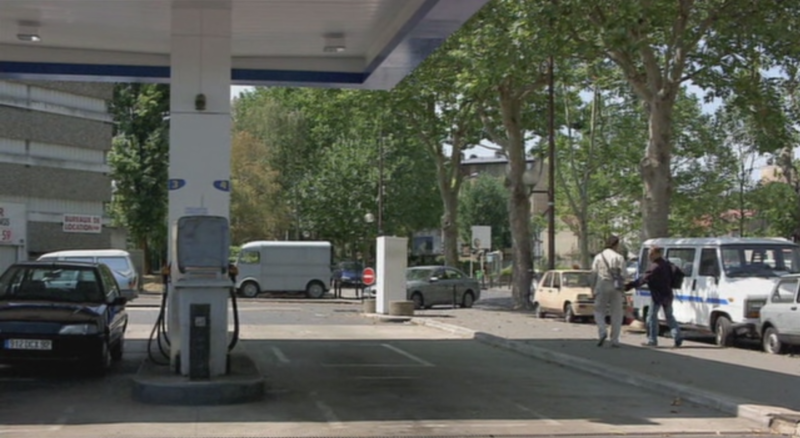 A scene in Michael Haneke's Caché (2005) uncannily mimics the cine-tourist's method when trying to identify a location in a film. 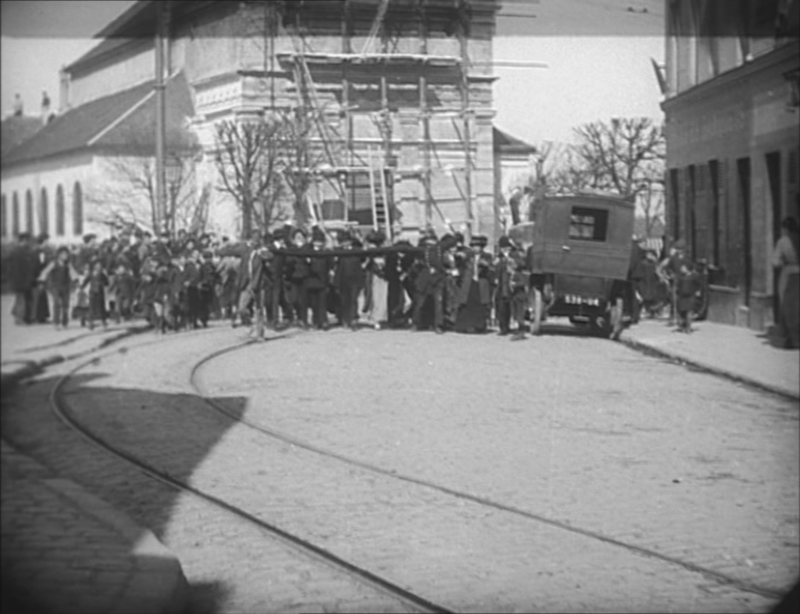 The protagonists are watching a videotape filmed from inside a car going down one street then turning into another. 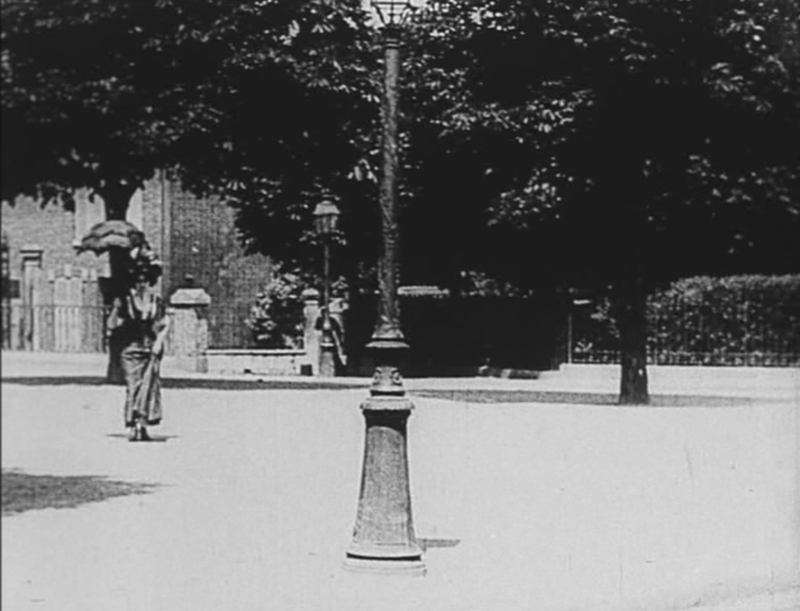 As it turns there is a street sign which the woman notices as the tape is rewound. 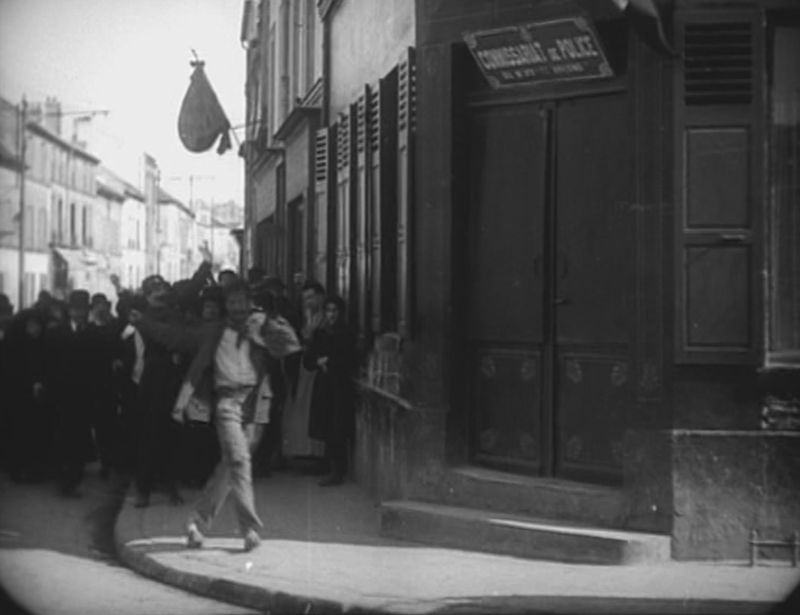 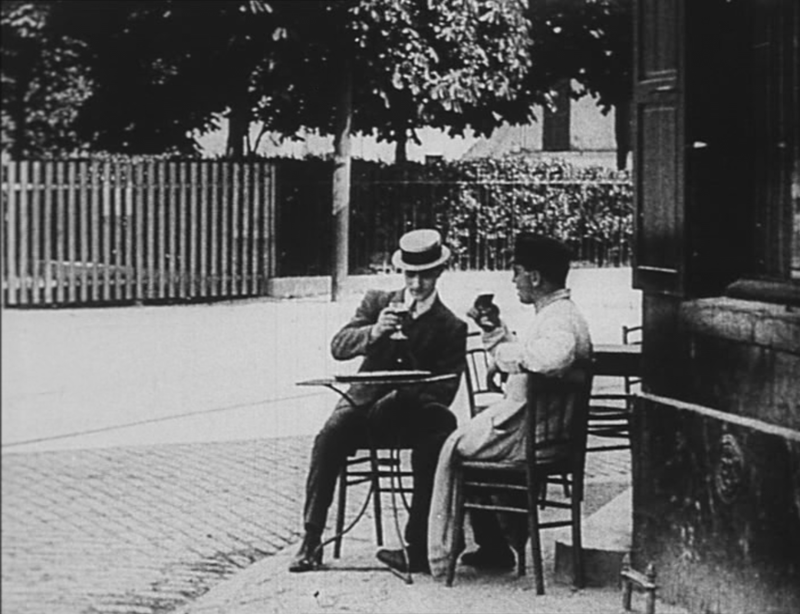 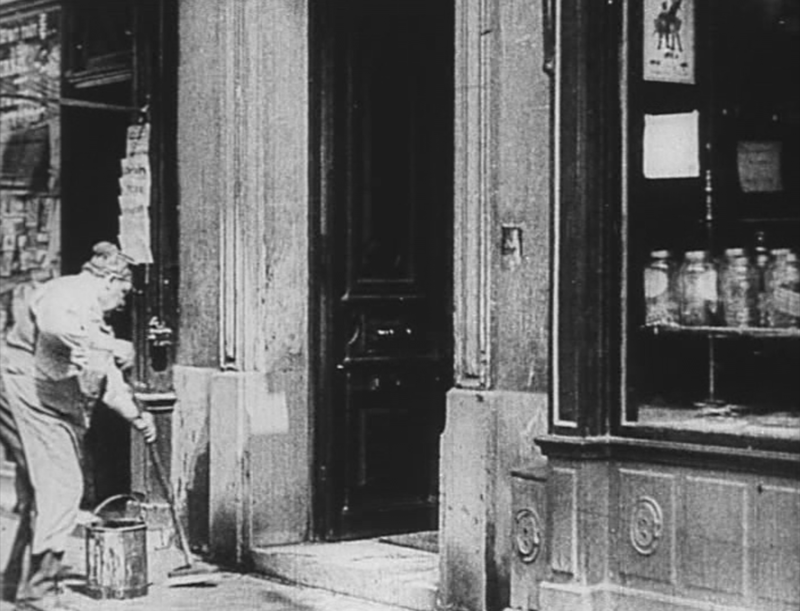 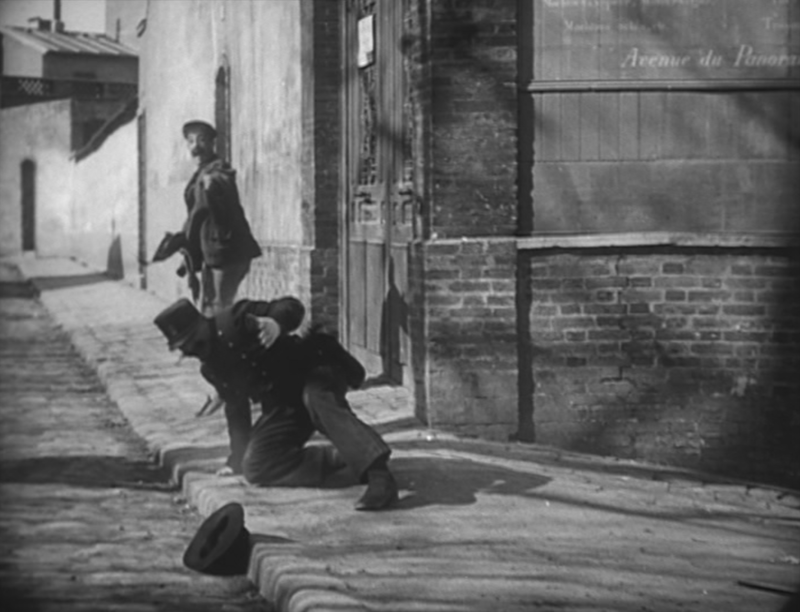 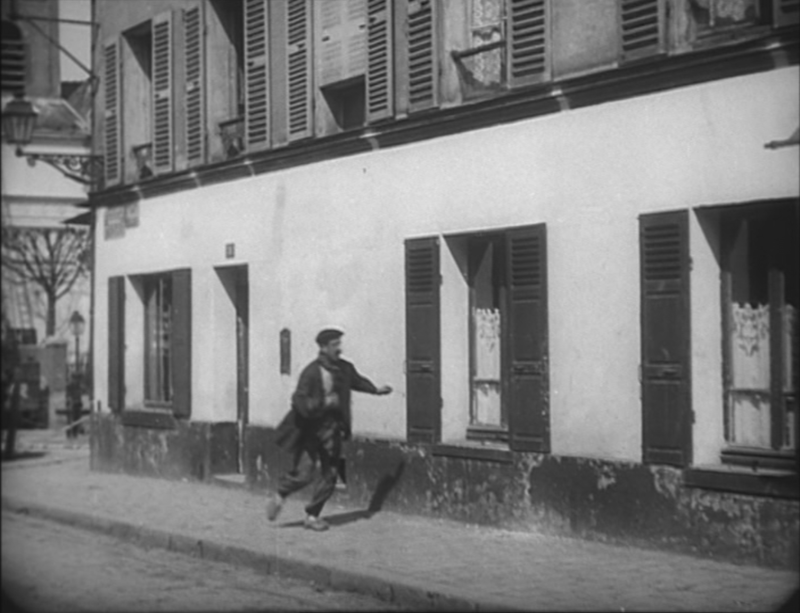 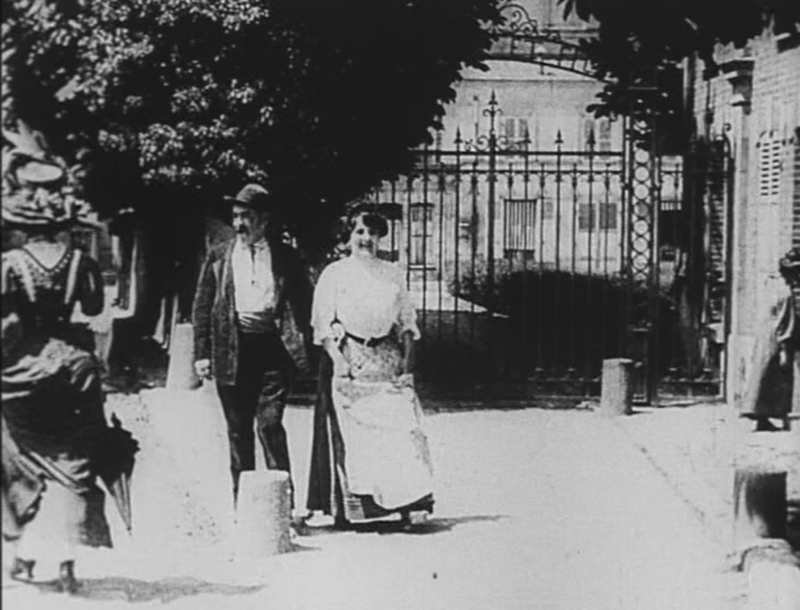 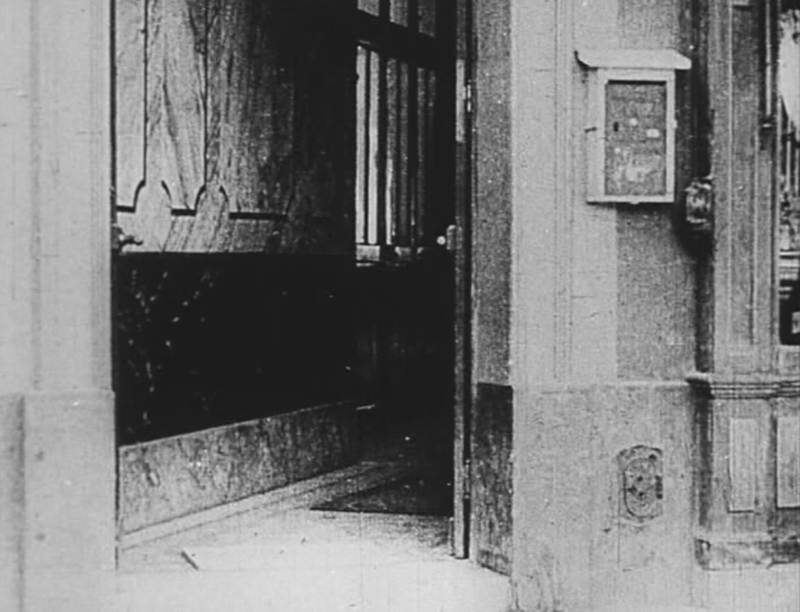 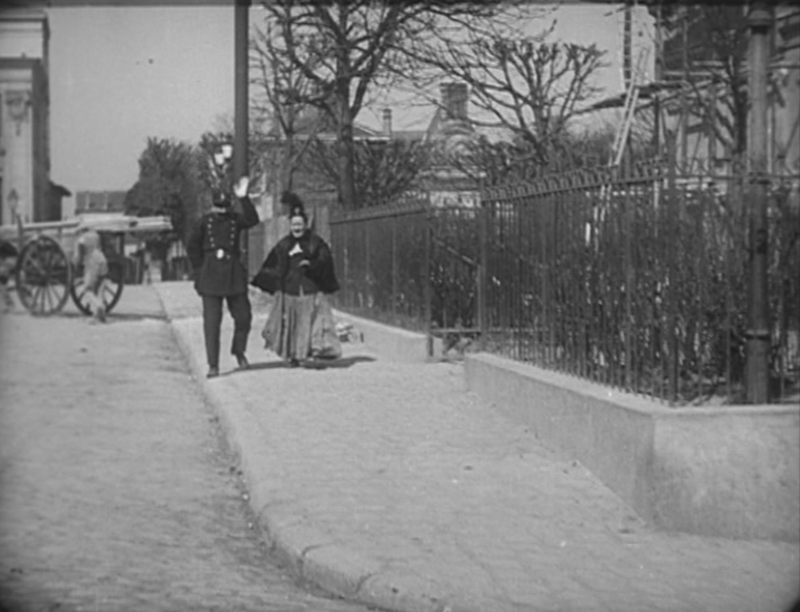 The man freezes the tape, edges it forward frame by frame, and they are able to make out the name on the sign: 'Avenue Lénine'. 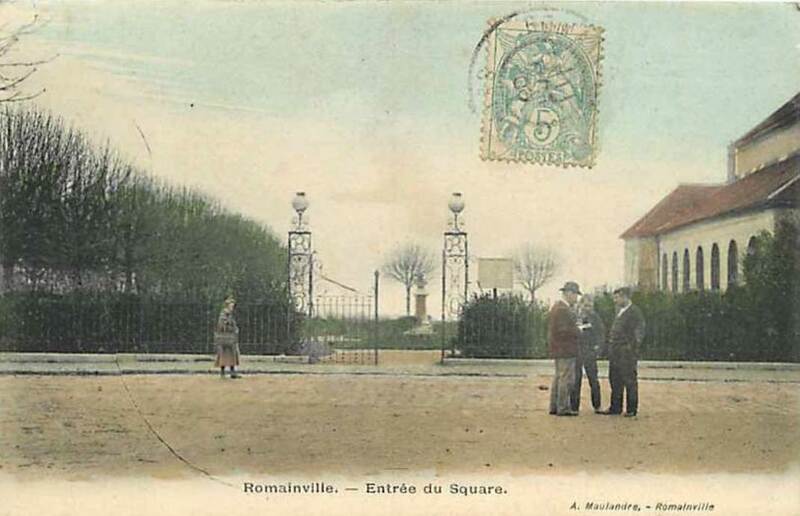 Looking more closely still, he can make out the name of the town on that sign: 'Romainville... it could be Romainville...'. 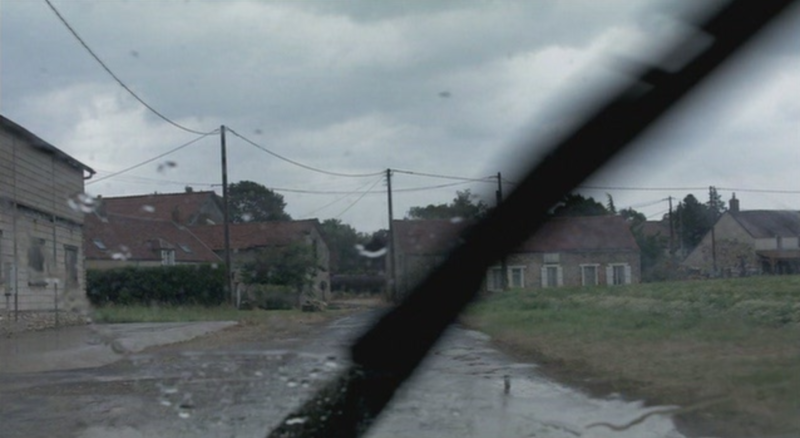 And in 1950 René Renoux reconstructed a Breton village on the open spaces east of the fort for Jean Delannoy's film Dieu a besoin des hommes. 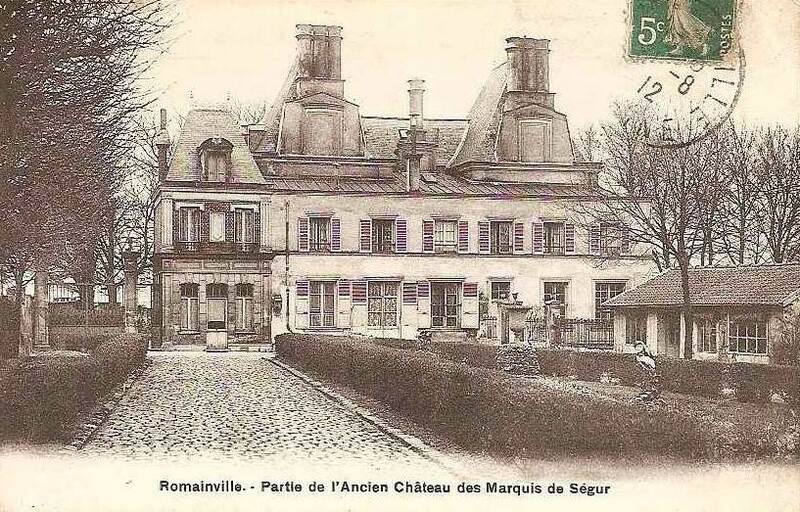 Built in 1630, the château fell into disuse and was awaiting restoration as a social amenity when a fire destroyed much of it in 2010 (see here). 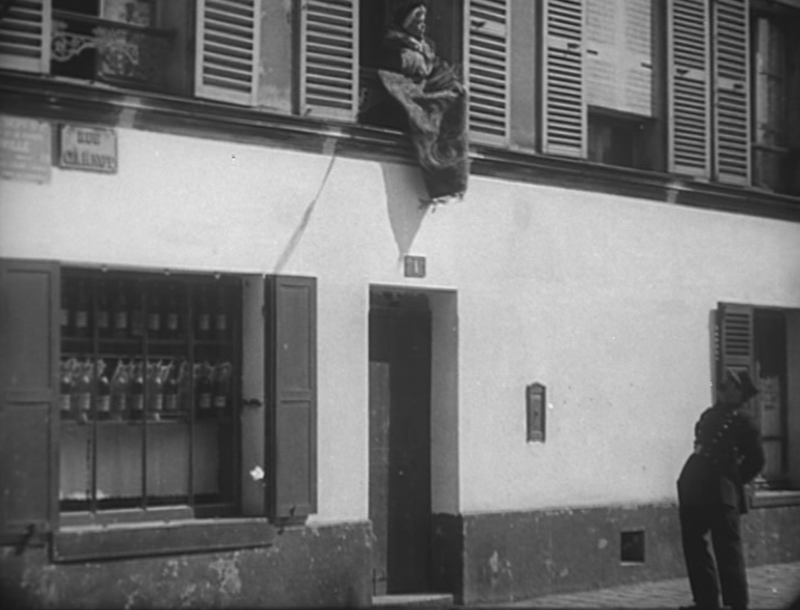 Like the couple in Caché, we have to look closely at the street sign, which reads RUE CARNOT. 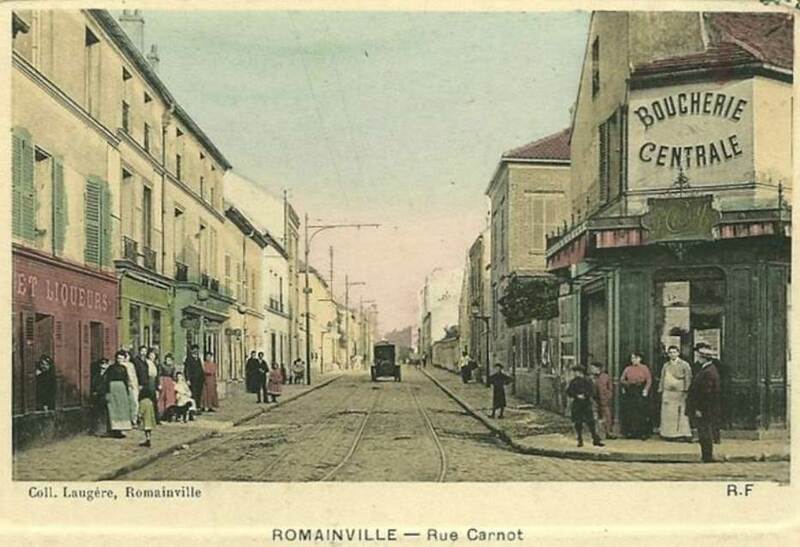 There are many streets of that name in the Paris region, and at first I missed the further clue in the other sign, where VILLE is the end of the name Romainville. 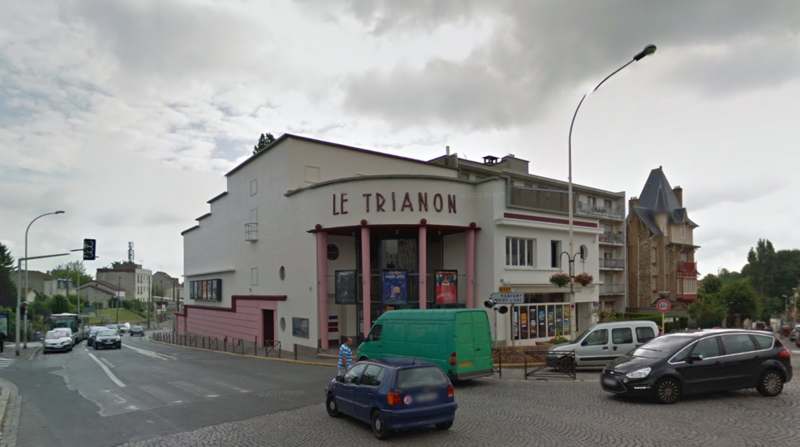 A full and illustrated history of this building can be found at the wonderful Ciné-Façades site, here. 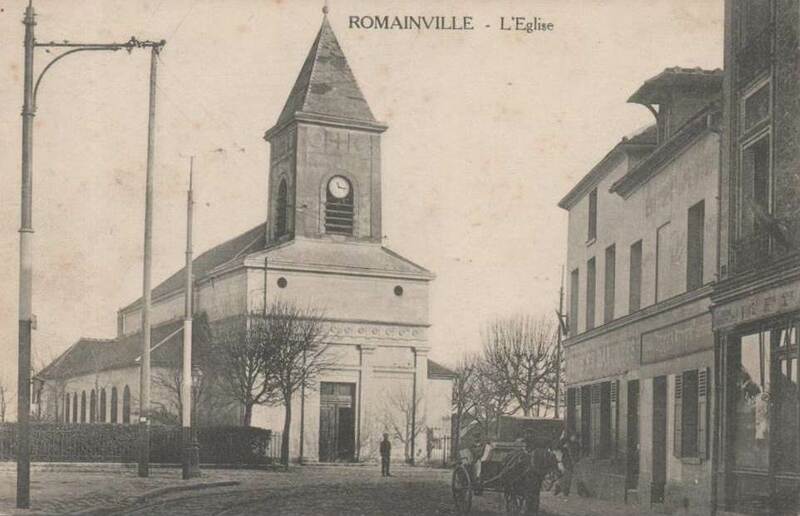 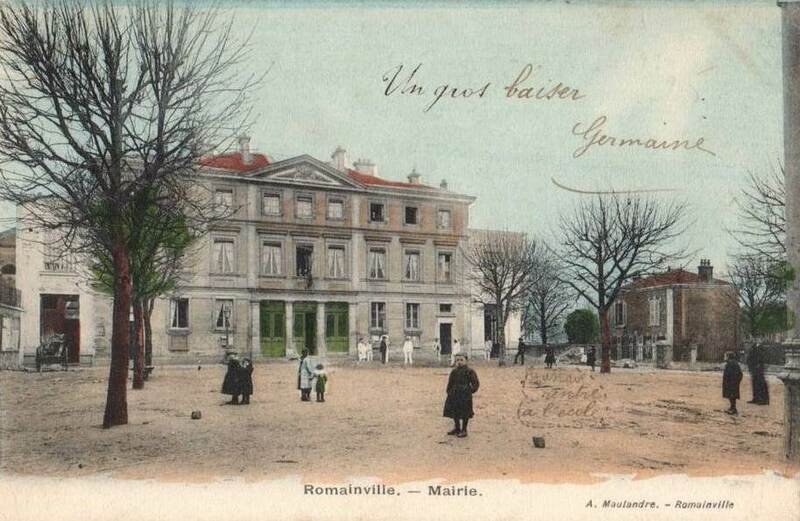 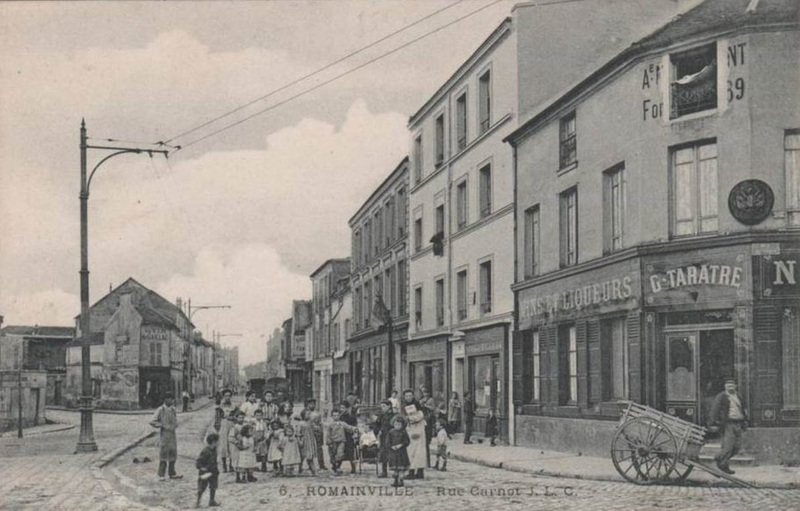 If any Romainvillois has a suggestion as to where this is, and also for the two unidentified doorways, please contact me here. 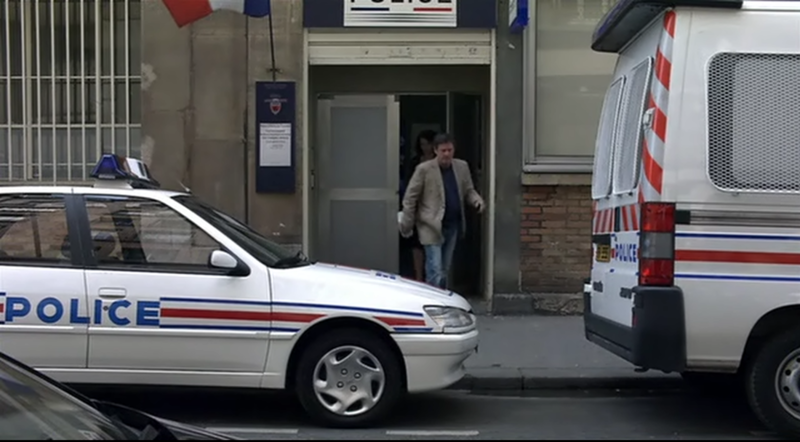 The name 'rue des Iris' and the number '49' are in plain sight, and all that is required of the investigator is to find the name of the street into which the rue des Iris opens and identify exactly the location. 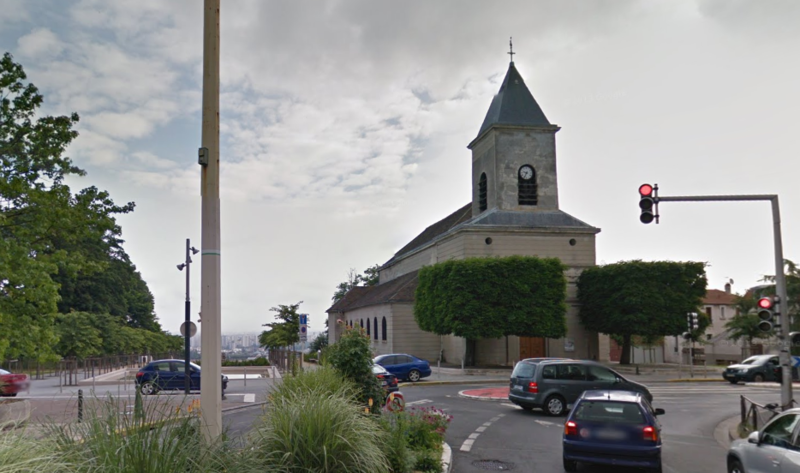 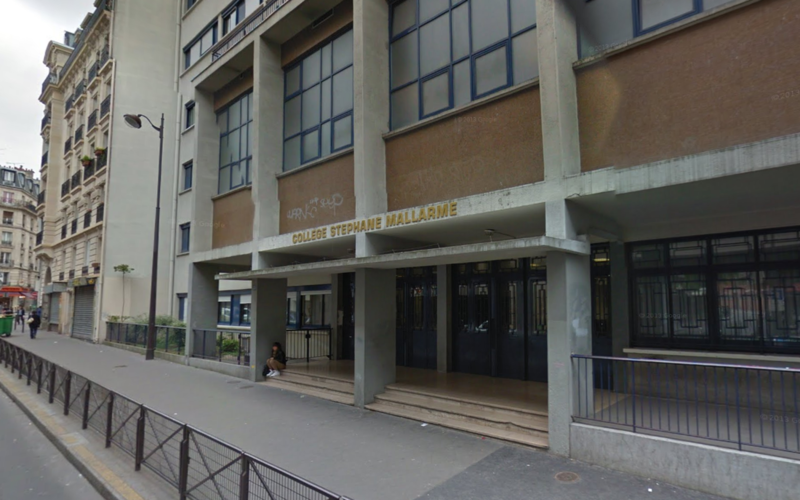 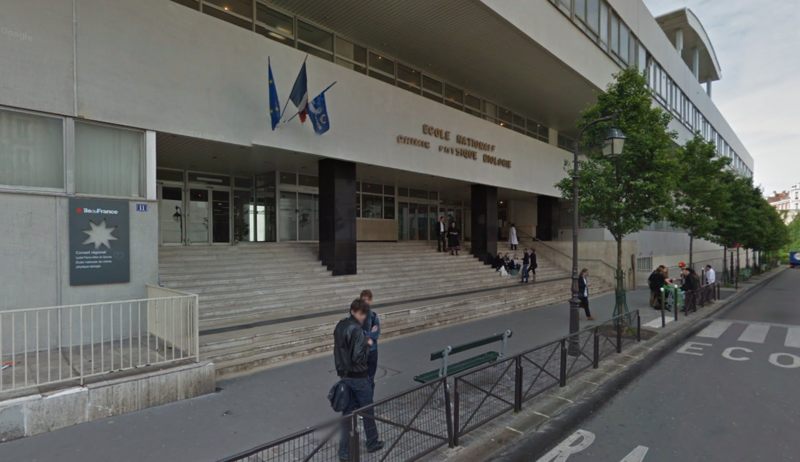 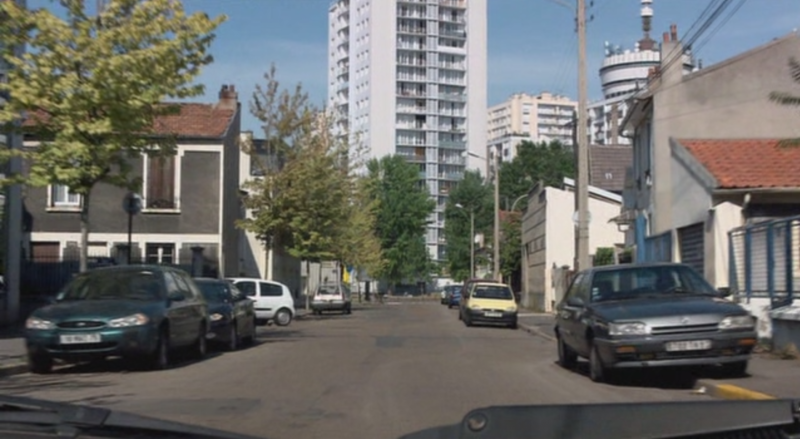 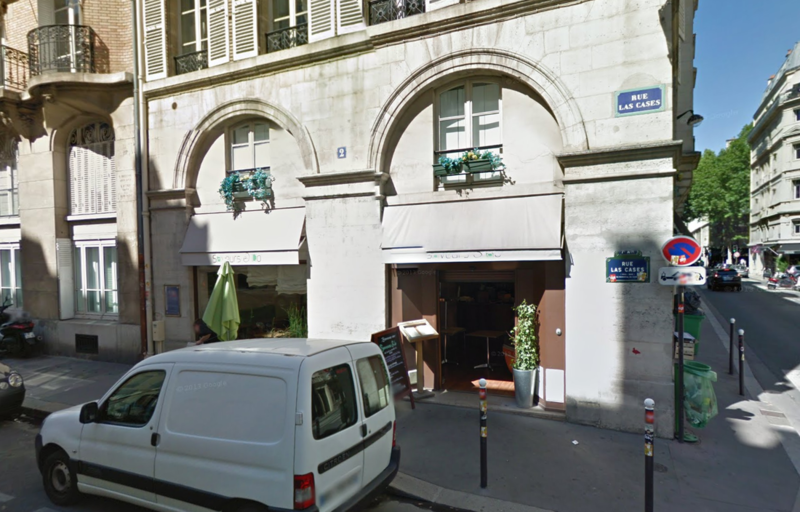 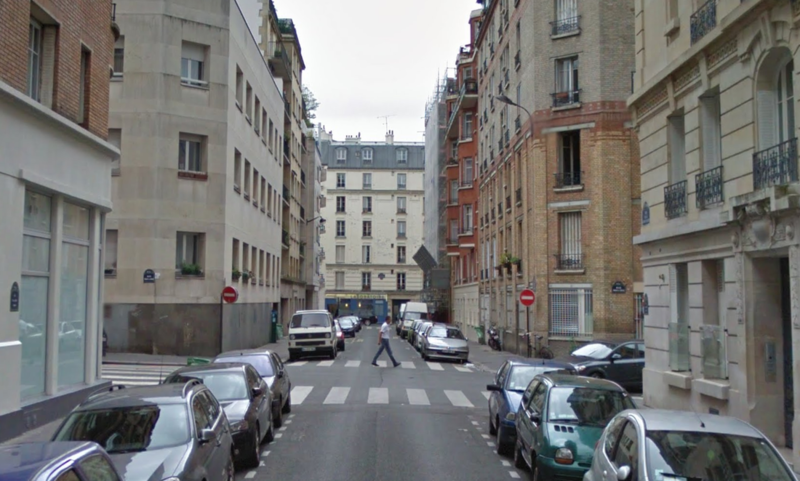 This is what Google Street View is for, clearly, and this is what, for example, the Liminaire blogger did, identifying the address as 49 rue Brillat-Savarin. 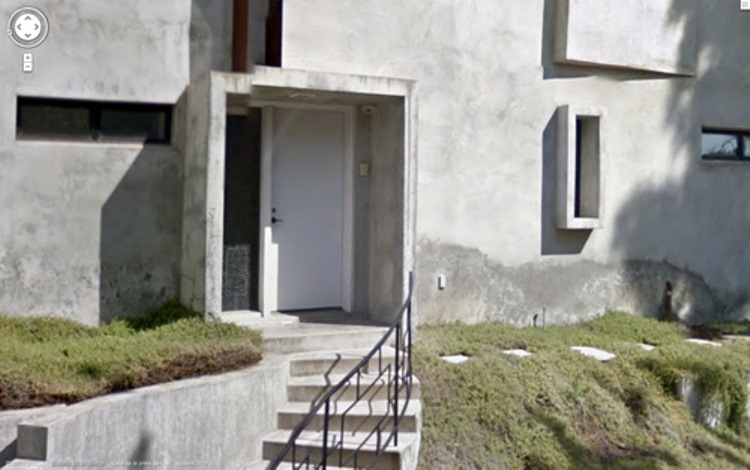 (Liminaire goes on to draw interesting comparisons with a house at 7035 Senalda Road in Los Angeles, as seen in Lynch's Lost Highway). 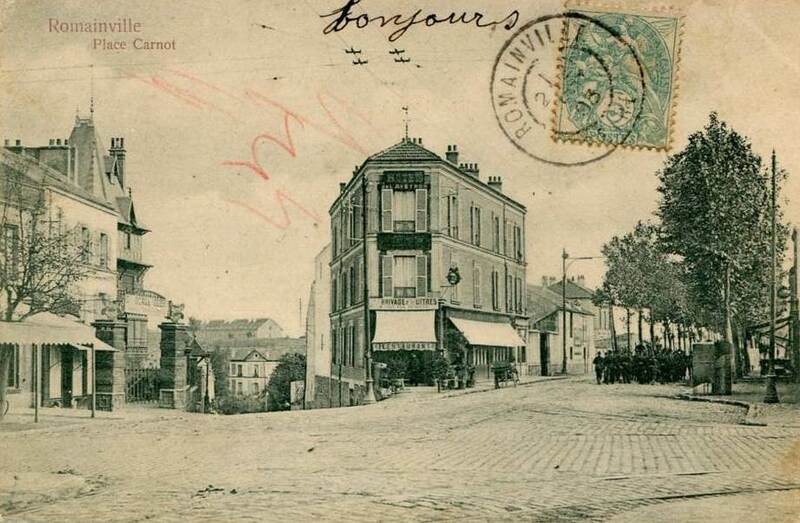 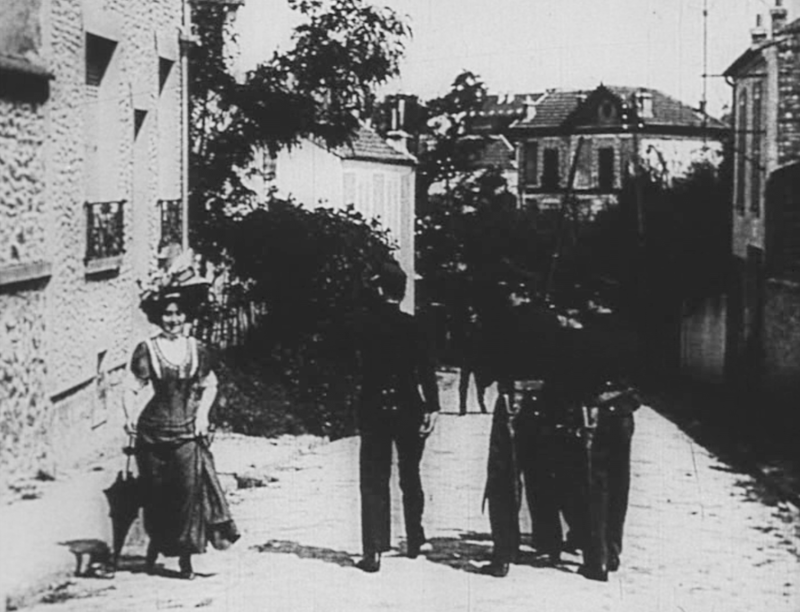 The rue des Iris was not actually named after a part of the eye or of a camera. 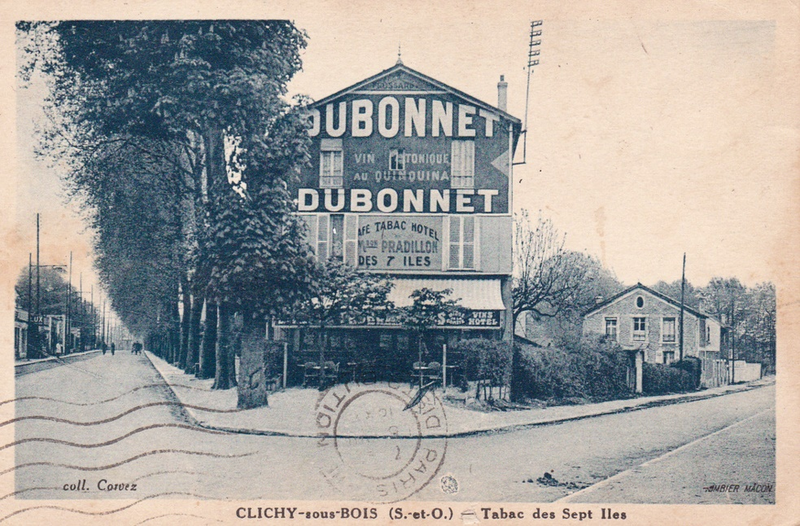 It is a a part of the cité florale, where the streets all bear the names of flowers (Mimosas, Liserons, Volubilis, Orchidées, Glycines). 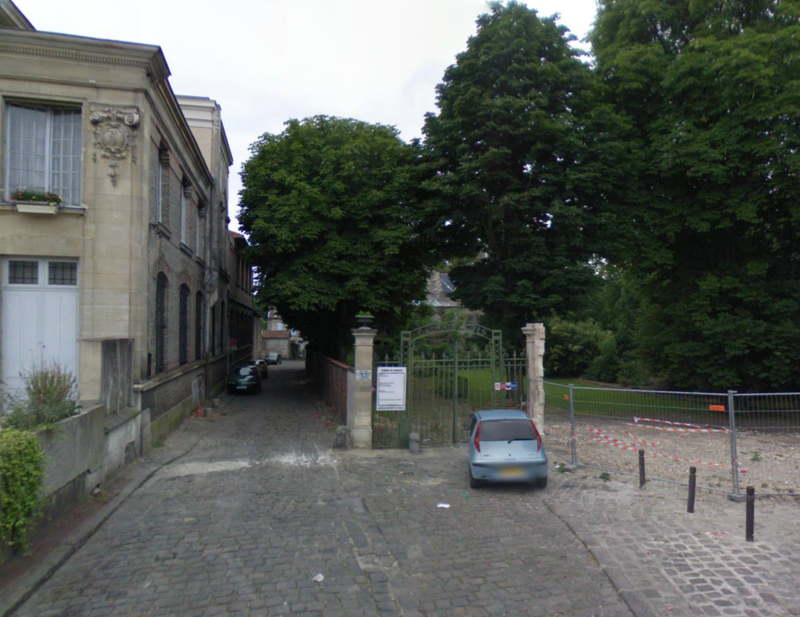 You can visit the cité florale in the company of Pistol, bouledogue français, here. 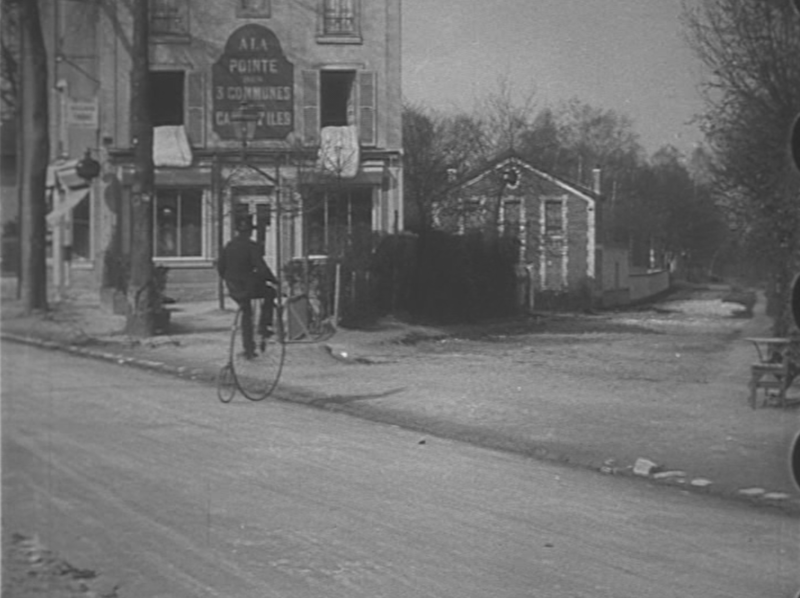 What still may escape us is the name on the less clearly visible sign across the street. 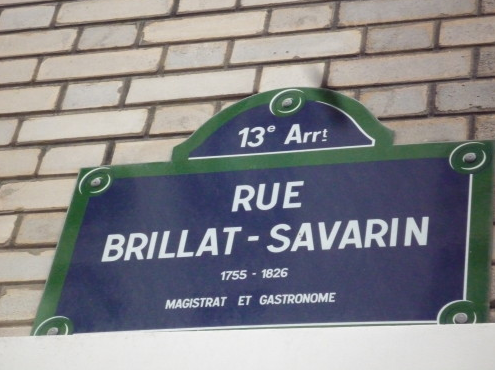 That sign should read 'rue Brillat-Savarin 1755-1826 magistrat et gastronome', as here, right, but it clearly doesn't. 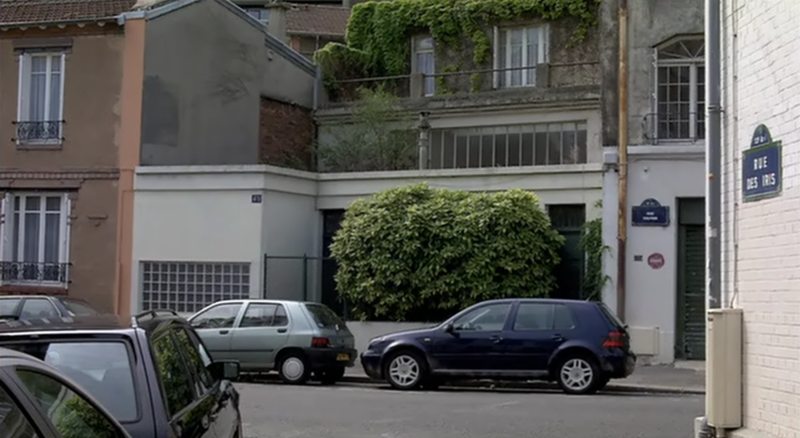 There is just one word below the word 'rue', but unfortunately I don't have a blu-ray edition of the film to be able to make out what that word is. 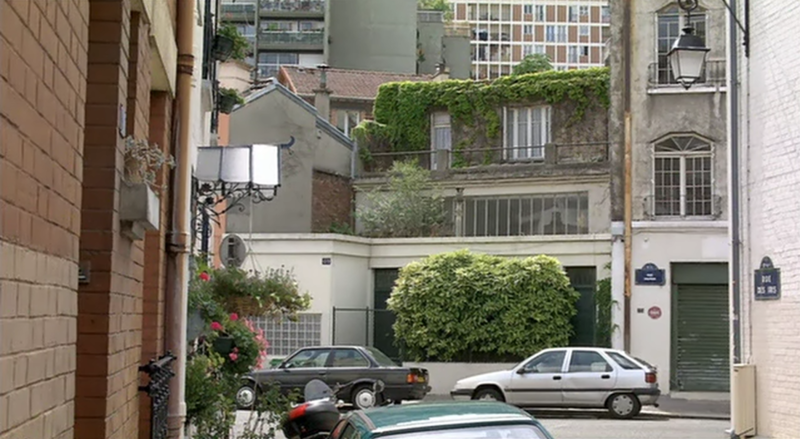 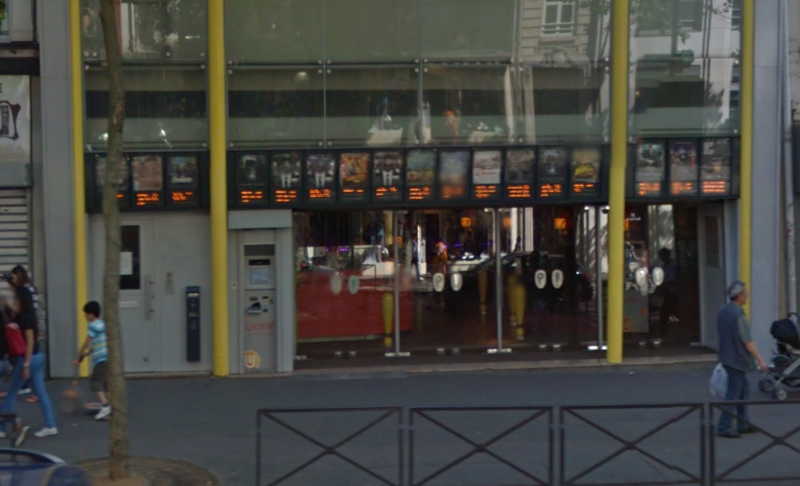 The sign that reads 'rue Brillat-Savarin' on the opposite side of the street from the protagonists' house has also been replaced for the film, but we only see it at night and it is equally illegible. 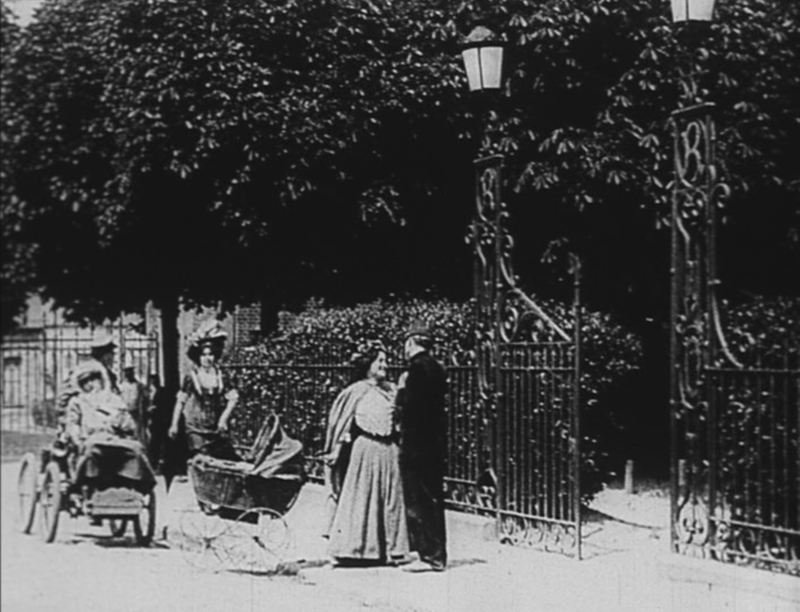 Decrypting that street name may add a clue to the solution of the film's various enigmas, or it may just complicate them further. 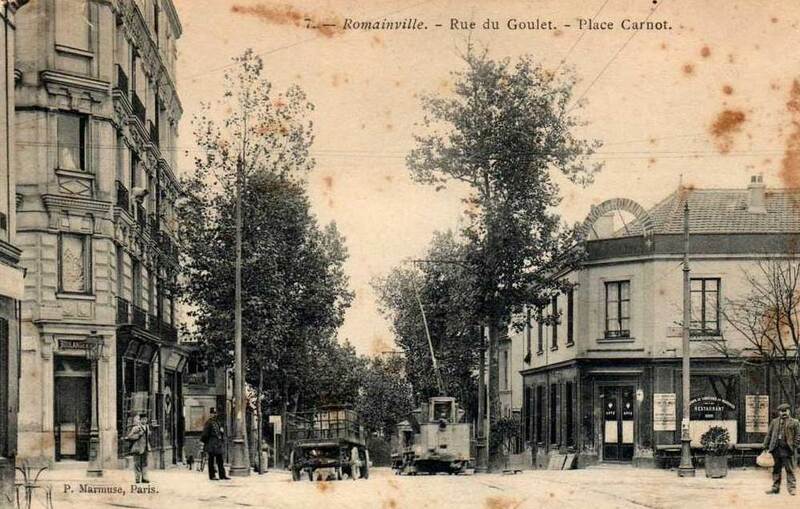 It may be that the street name was changed just to avoid the kind of associative reading prompted by the name of the rue des Iris, to avoid our being led to think too much about the food eaten in a house on a street named after the author of the Physiology of Taste, or Meditations on Transcendental Gastronomy, a Theoretical, Historical and Contemporary Work, dedicated to the Gastronomes of Paris, by a Professor, a Member of Several Literary and Scholarly Societies (1825). 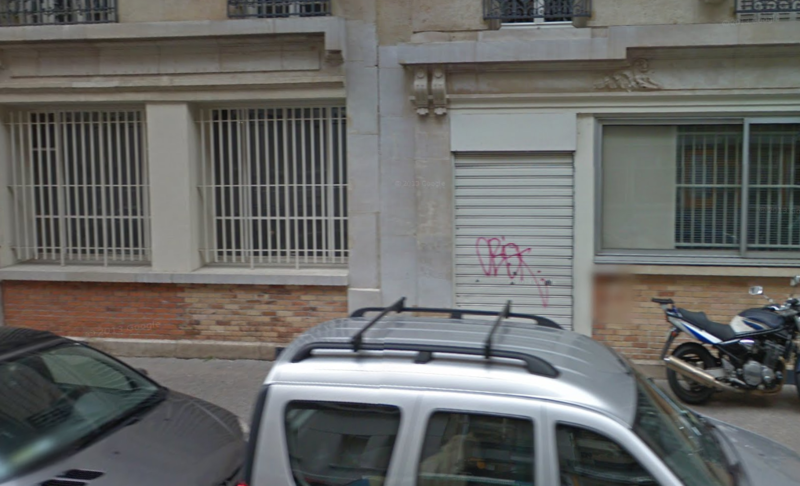 The real rue Vulpian is a street in the same arrondissement, but further north. 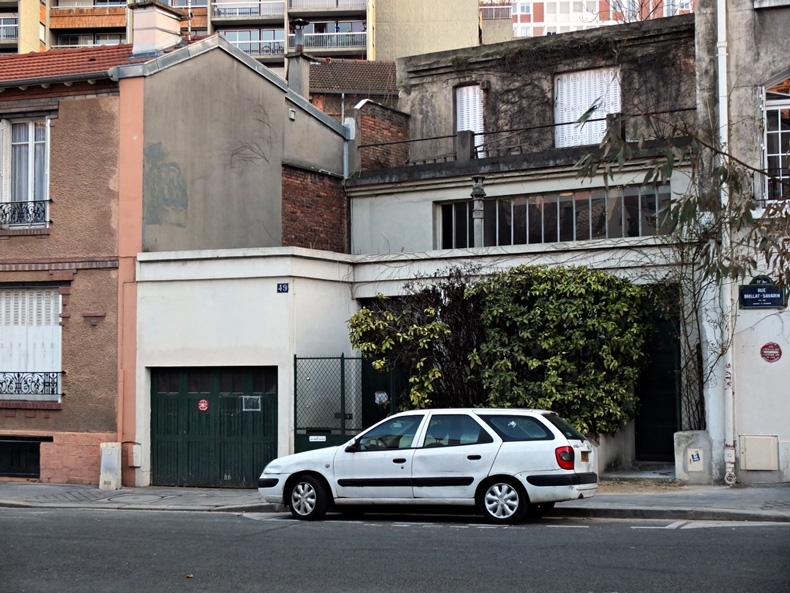 The history behind such signs, indicating the watchfulness of a private security company founded in 1926, is told on the excellent Paris Myope blog. 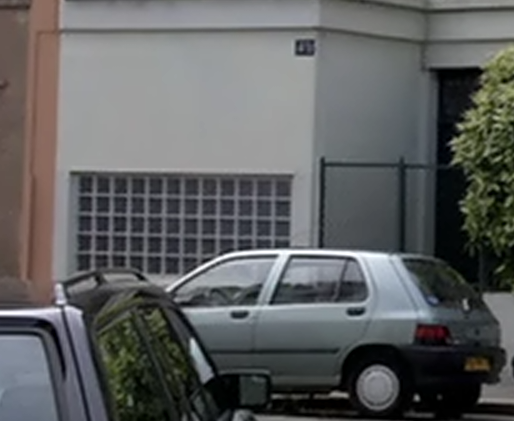 The irony of this sign being on the house in Caché is pointed out by Paris Myope. 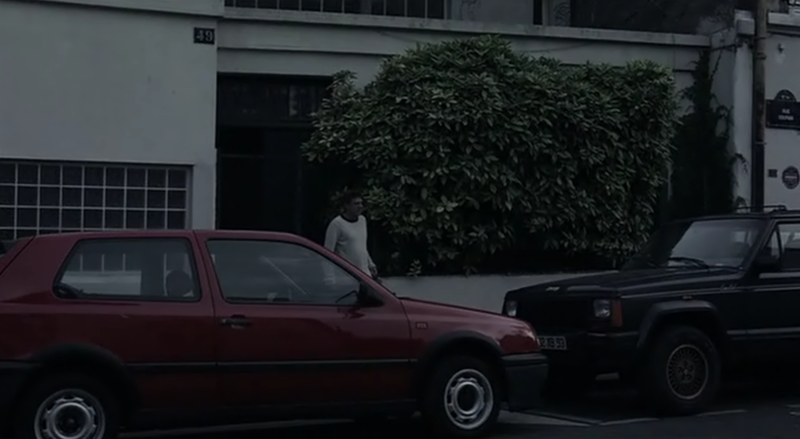 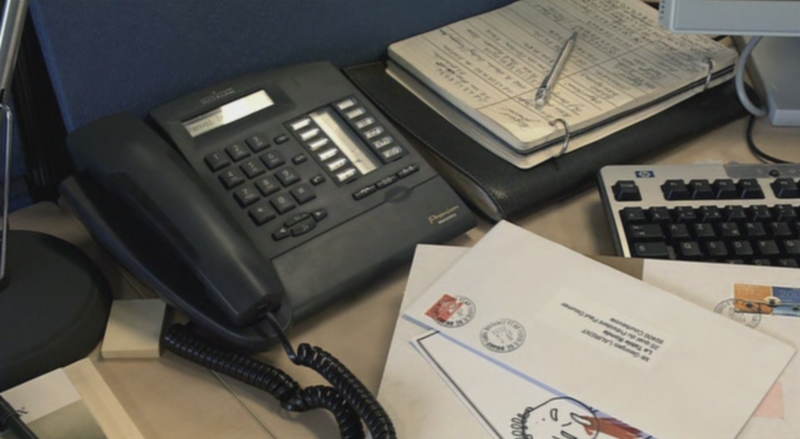 It is hard to imagine that its presence escaped the makers of a film about surveillance. 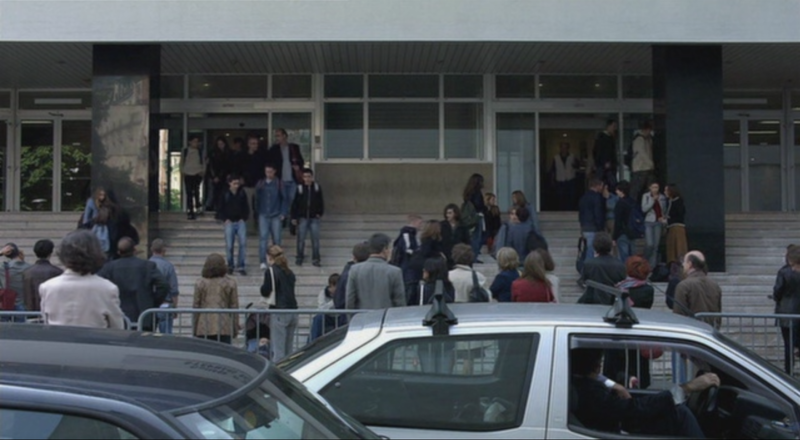 The film's manipulations of this location need further research, clearly. 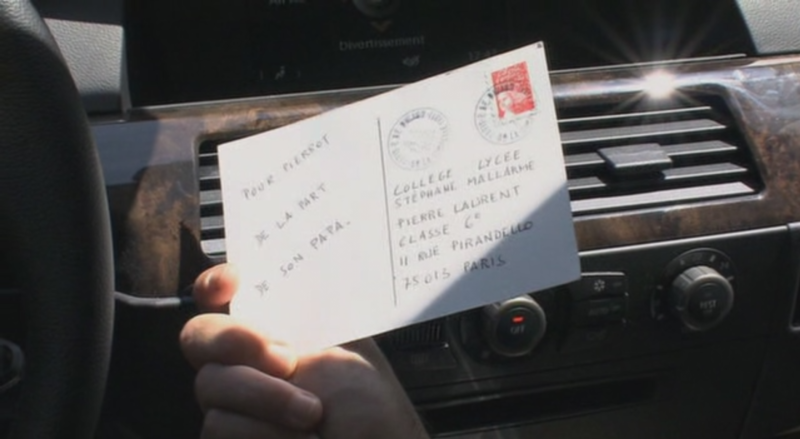 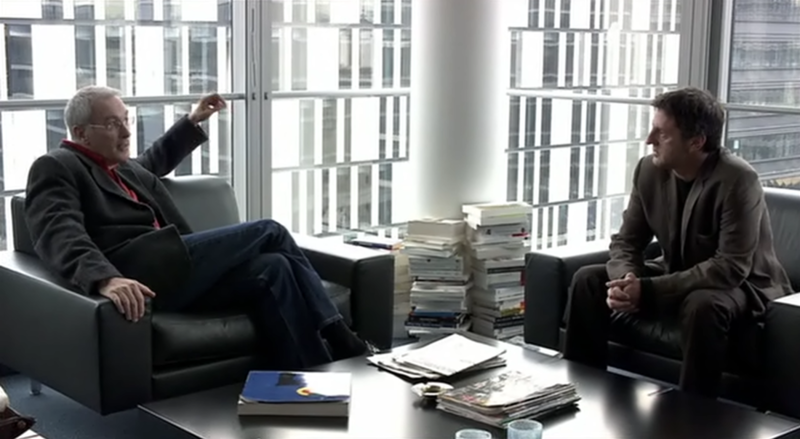 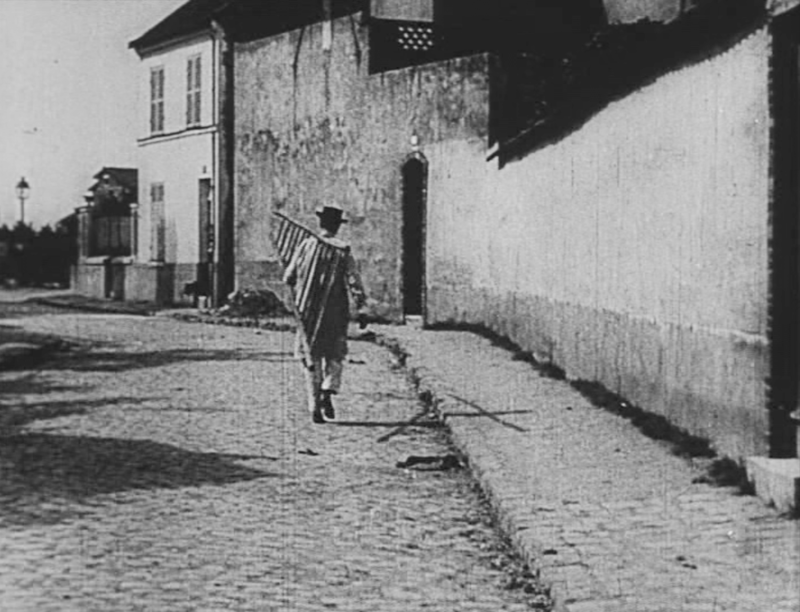 Patrick Crowley speculates that 'Haneke's deliberate referencing of Luigi Pirandello and Stéphane Mallarmé may have been determined by the existence of a real school and street bearing these names or by a desire to set up further intertextual traces that lead to an elsewhere that leaves behind the moral imperatives suspended within Caché' - 'When forgetting is remembering', in Brian Price and John David Rhodes (eds), On Michael Haneke (Detroit: Wayne State University Press, 2010), p.273. 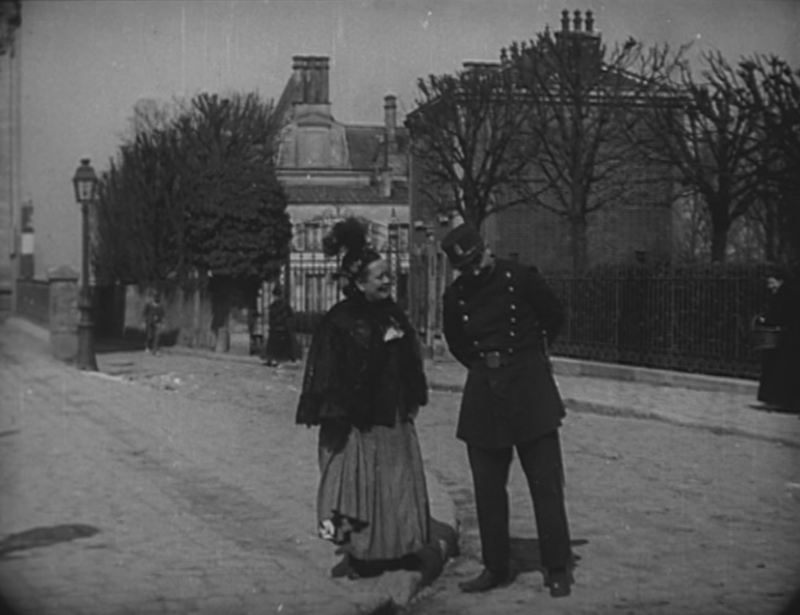 The films playing are Bad Education (Almodovar), Ma mère (Honoré), Mariages! 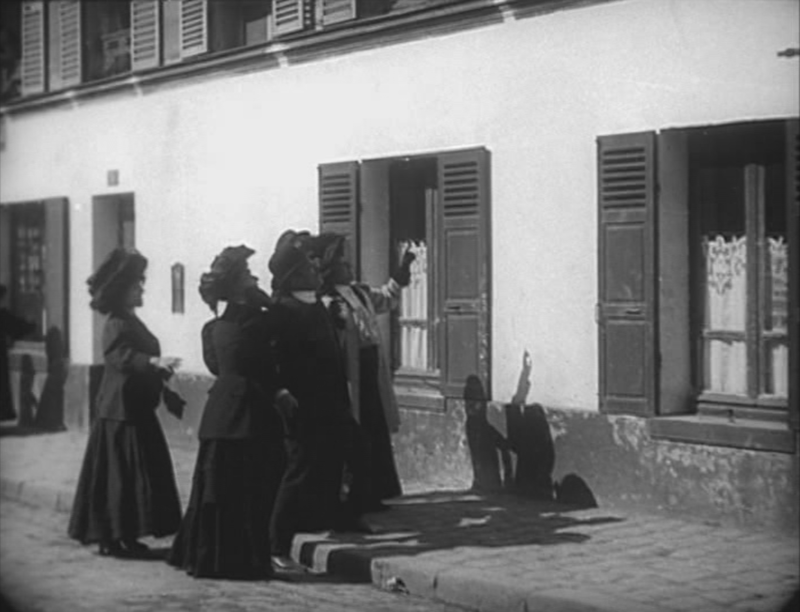 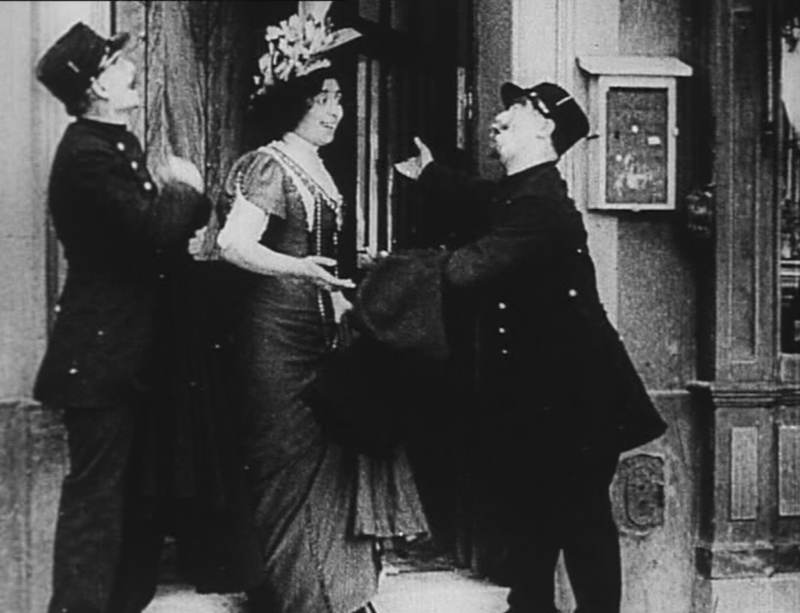 (Guignabodet), Les Choristes (Barattier), Deux frères (Annaud) and La Grande Séduction. 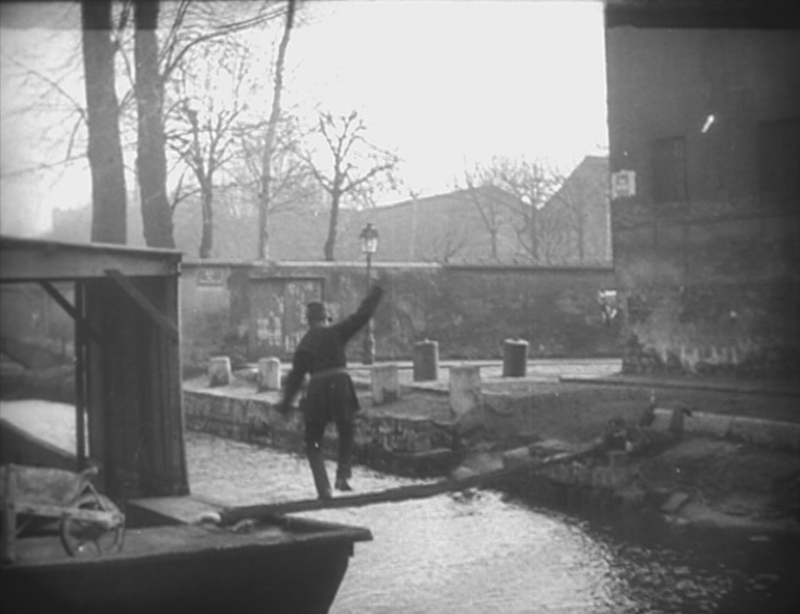 It isn't clear which of these he would have gone to see. 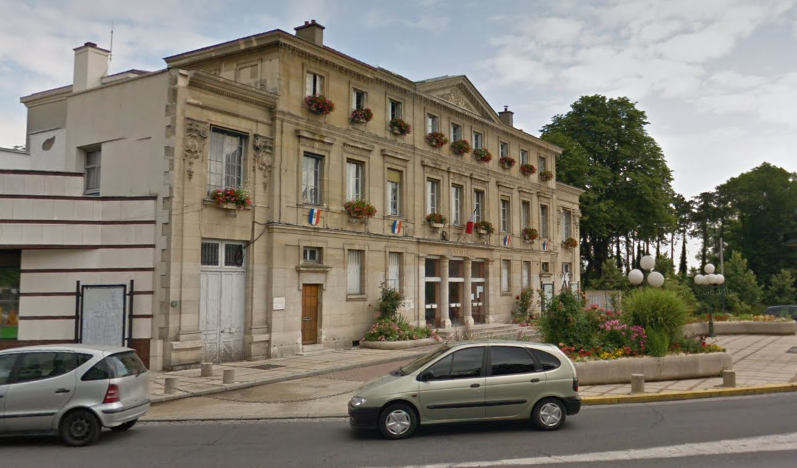 For all of the maps in Caché, see here. 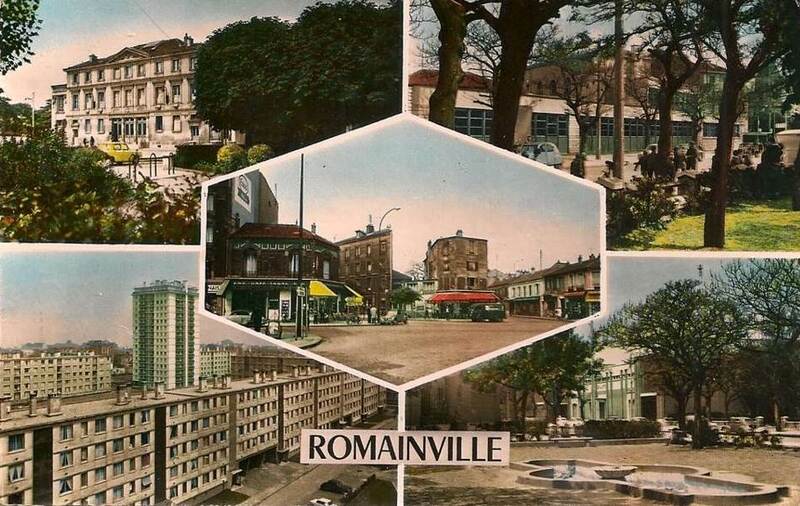 In 2023, then, the Romainville we see in Haneke's film will be unrecognisable. 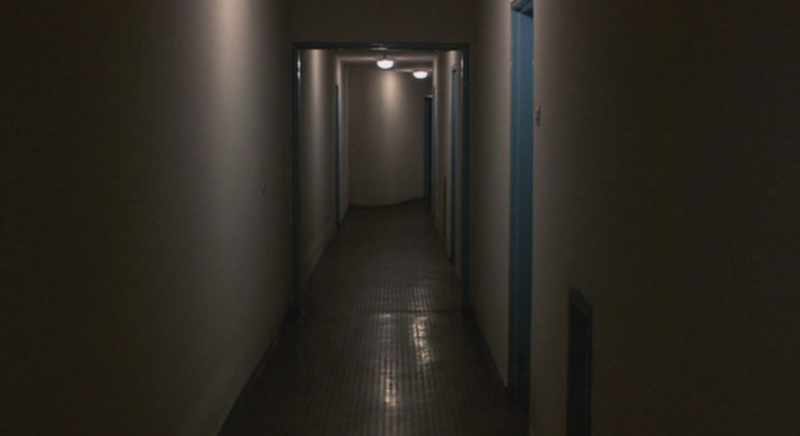 The old place, as they say, will not be the same. 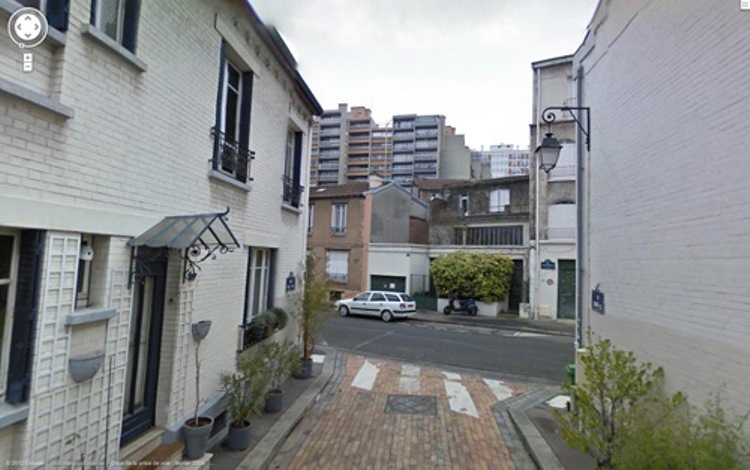 This street [the avenue Lénine] of course really does exist, in a commune named Romainville in the eastern suburbs about 5 miles from the center of Paris. 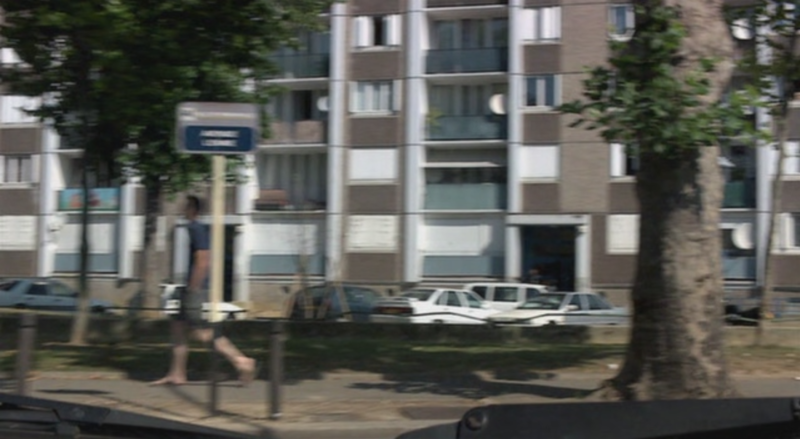 Appropriately for the context of the film, there is no way to get to this working-class neighbourhood from Paris using public transportation as neither the subway nor the RER regional commuter lines go anywhere near what one can only call this non-place. 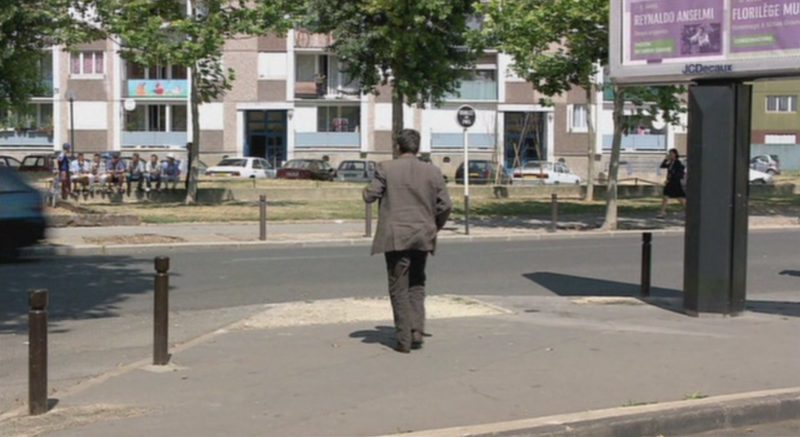 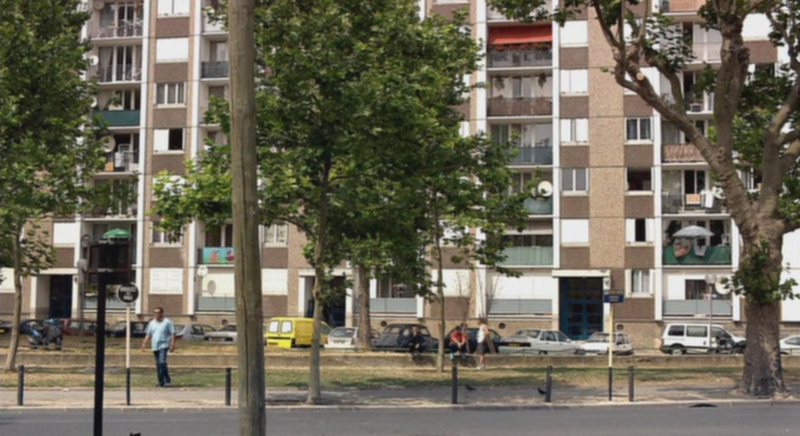 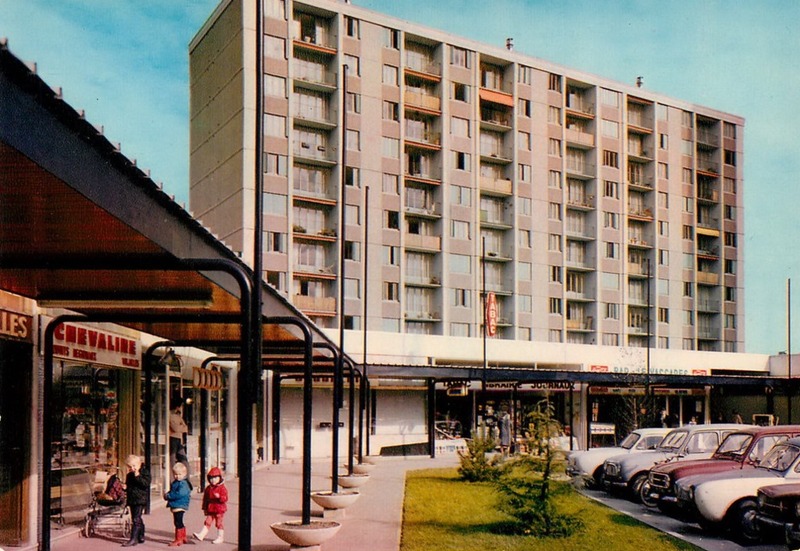 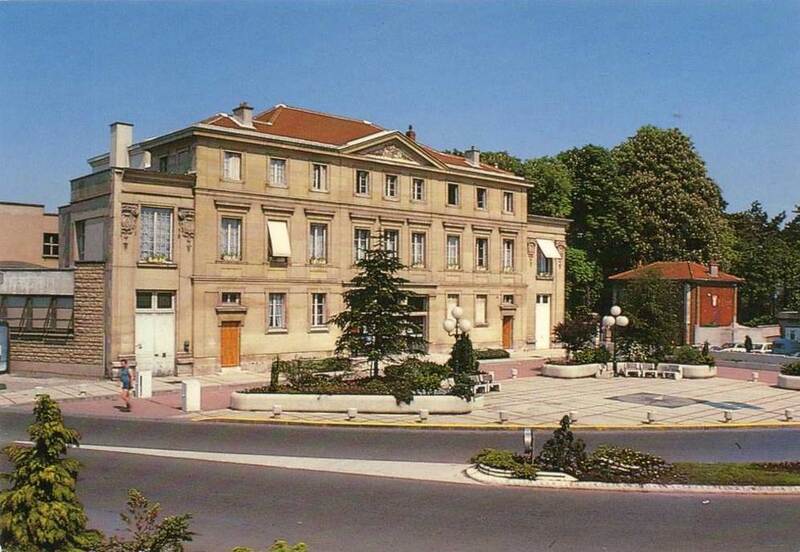 Admittedly Levin's essay is only interested in the act of surveillance and not in the places surveilled, but he seems to have missed the comment made in Caché that the Avenue Lénine is 'near the Mairie des Lilas métro station'. 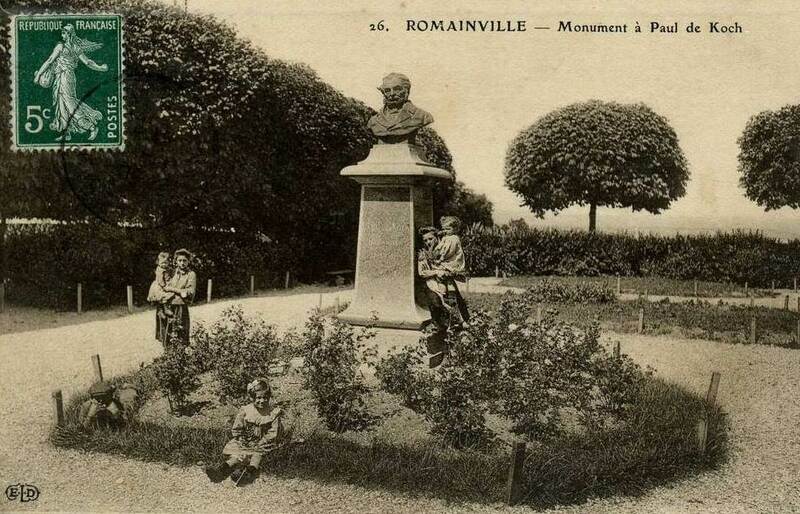 Admittedly it isn't very near, but there are buses to Romainville from there. 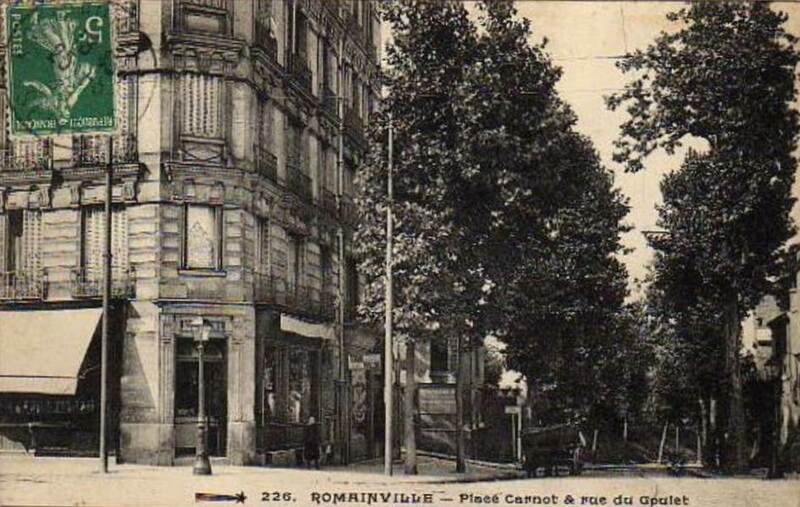 A long-promised extension of the métro out to Romainville is due in the next few years. 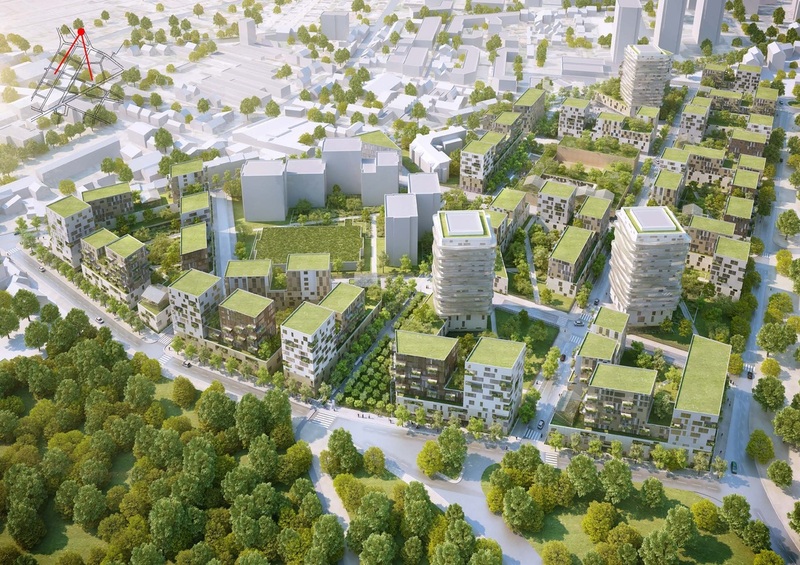 If that happens, 'non-place' will be even less appropriate a term for the place we have been discussing here.